Choosing the right way to get traffic to your website will no doubt improve the performance of your landing page. There’s pay per click advertising with the likes of Google AdWords where you pay for contextually based traffic. However, this has a fee associated with every click you get. On the other hand, there’s search engine optimisation where you aim to get natural organic traffic through improving your website’s rank and by gaining a high placement in search engine results. Each have their benefits and drawbacks. But, which one should you use? Ultimately, it depends on your needs. Some advertisers will need traffic that is closer to PPC while others can afford to go long term with SEO. With the strategy for traffic depending on your needs, you can then define from your needs what type of traffic you should use. If you are someone who needs traffic quick, the obvious solution is to go for pay per click advertising. With as little as five minutes to get a campaign started up, you can start producing traffic to your landing page in little to no time at all. As well as this, with PPC, you can optimise your campaign to suit short term traffic. You can do this through aggressively bidding for your keywords. Although the highest bidder for keywords are more associated with click fraud, your advert will gain maximum exposure providing maximum traffic. With long term traffic, you might want to consider using SEO as your source of traffic. SEO is cheaper than PPC and can often produce better results than PPC too. However, a lot of advertisers don’t have the time and effort to perform SEO. Therefore, most advertisers will still use PPC. Pay per click advertising is one of few online advertising forms that adapts to your needs. If you want to gain long term traffic using PPC, you can through budgeting your campaign on a daily basis. From this, if you have the effort and time to do SEO for long term traffic, do it. Otherwise, use PPC. Without doubt, you should be looking at SEO if you can’t afford to spend out. Yes, PPC is also very cost efficient. However, it still costs money. With SEO, it’s completely free. You do all the work of gaining the traffic to your landing page: not the publishers that display your adverts on their web pages. I tend to look at SEO as a diversification of advertising. The rate of failure is higher than PPC. Saying this, getting SEO right will provide a much bigger reward than PPC can ever give you. From the above, it does make SEO sound too goo to be true. It’s free, gains you a lot of traffic in the long term (and possibly short term) and provides contextual traffic just like PPC (seeing that people will search for your page using keywords). However, SEO has one drawback which PPC doesn’t have: . One day, all your organic traffic may disappear because of an update to Google’s search engine. This strengthens the point that overall, PPC is a more reliable and consistent way of gaining traffic. SEO is the dare devil that can prove to be very effective if used correctly. 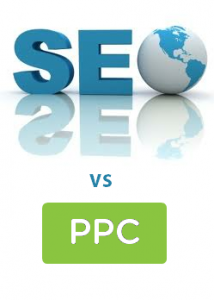 Share your comment 1 responseTO SEO vs PPC. Great Article I would say SEO it’s the best way for short budget but I like it better PPC because with SEO you always have to wait for your page to be rank and that cost you money TIME IS MONEY. I personally do PPC and some other traffic method that help me get more than 200,000 visitor to my site and we are talking about real targeted visitors.